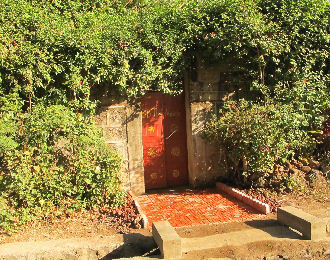 The Annex Bed and Breakfast is located in Bahir Dar, in Ethiopia, on the side of Lake Tana. The house is located in the Kebele 3 which is a residential quarter in within walking distance from the center, in a quiet area: 5 minutes walk to the Bete Daniel Hotel, 10 minutes to the city center and the lake, 20 minutes walk to the bus station. Many small shops are near by, and a well furnished supermarket at 10 minutes walk away (around the mosque).